When companies reissue prior financial statements, it raises a red flag to investors and lenders. But not all restatements are bad news. Some result from an honest mistake or misinterpretation of an accounting standard, rather than from incompetence or fraud. Here’s a closer look at restatements and how external auditors can help a company’s management get it right. The Financial Accounting Standards Board (FASB) defines a restatement as “a revision of a previously issued financial statement to correct an error.” Accountants decide whether to restate a prior period based on whether the error is material to the company’s financial results. Unfortunately, there aren’t any bright-line percentages to determine materiality. When you hear the word “restatement,” don’t automatically think of the frauds that occurred at Xerox, Enron or WorldCom. Some unscrupulous executives do use questionable accounting practices to meet quarterly earnings projections, maintain stock prices and achieve executive compensation incentives. But many restatements result from unintentional errors. Accounting rules can be complex. 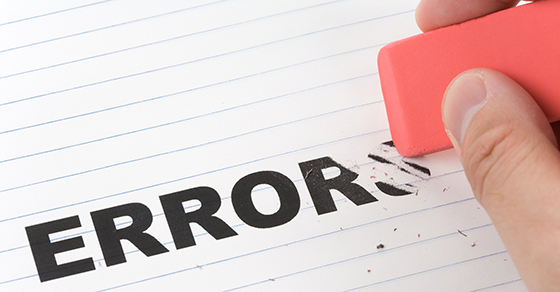 Recognition errors are one of the most common causes of financial restatements. They sometimes happen when companies implement a change to the accounting rules (such as the updated guidance on leases or revenue recognition) or engage in a complex transaction (such as reporting compensation expense from backdated stock options, hedge accounting, the use of special purpose or variable interest entities, and consolidating with related parties). Income statement and balance sheet misclassifications also cause a large number of restatements. For instance, a borrower may need to shift cash flows between investing, financing and operating on the statement of cash flows. Equity transaction errors, such as improper accounting for business combinations and convertible securities, can also be problematic. Other leading causes of restatements are valuation errors related to common stock issuances, preferred stock errors, and the complex rules related to acquisitions, investments and tax accounting.